The Xbox 360 version of Titanfall has been delayed a bit to give the developer time to really spiff it up. Usually when one version of a major game release is delayed while the others continue on schedule (and by "usually" I mean "always") it's the PC release, so this Titanfall postponement is both unusual and interesting. 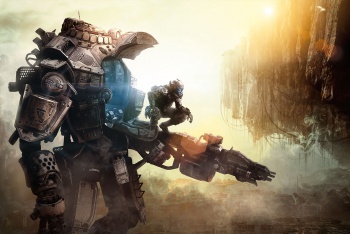 EA Studios VP Patrick Soderlund announced today that the Xbox One and PC versions of Titanfall will land as scheduled on March 11, but the 360 edition won't be available until March 25. "In these last few weeks before launch, Respawn is in the final stages of polishing the Xbox One and PC versions of the game. Bluepoint is doing the same with the Xbox 360 version," Soderlund said. "To give them the time they need to put the finishing touches on the current-gen version of the game, we are moving the Xbox 360 ship date to March 25 in North America and March 28 in Europe. The extra two weeks will ensure the full world of Xbox gamers has an awesome experience." Of course, if you don't want to wait for the 360 release, you can always go out and score yourself an Xbox One - but it's only a couple of weeks, right?